Very Good. 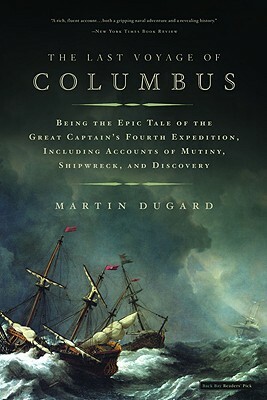 Columbus' fourth voyage is a saga of shipwreck, mutiny, discovery, and political treachery, yet his quest to find a passage to the Orient drove him onward in the face of peril. Trade paperback (US). Glued binding. 294 p. Contains: Unspecified. Good. Columbus' fourth voyage is a saga of shipwreck, mutiny, discovery, and political treachery, yet his quest to find a passage to the Orient drove him onward in the face of peril. Trade paperback (US). Glued binding. 294 p. Contains: Unspecified. Fair. 0316154563 Ships promptly from Texas. Good. Some ink staining on underside/back cover of book. Open Books is a nonprofit social venture that provides literacy experiences for thousands of readers each year through inspiring programs and creative capitalization of books.